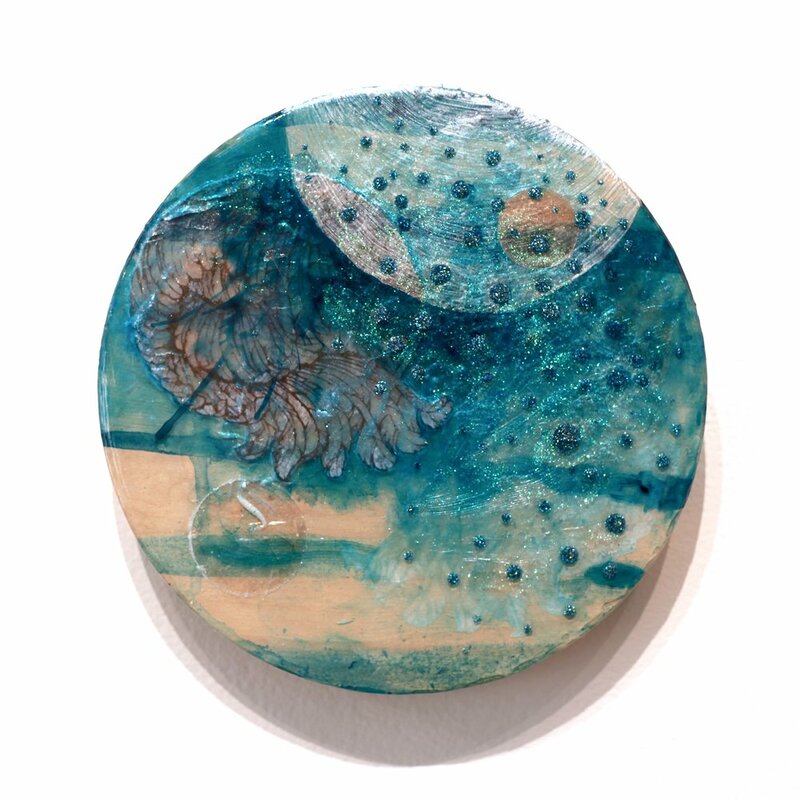 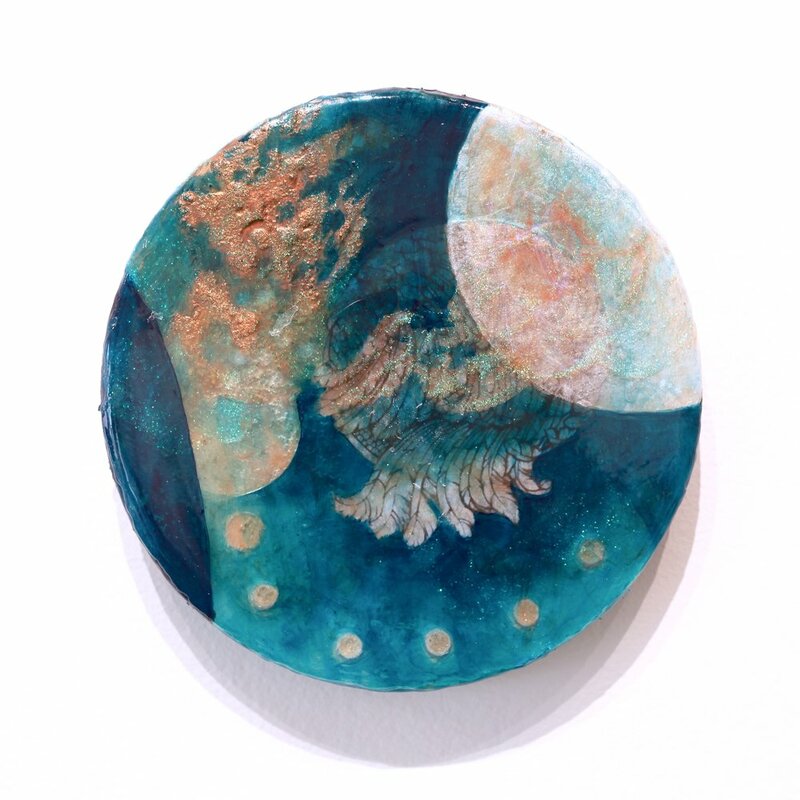 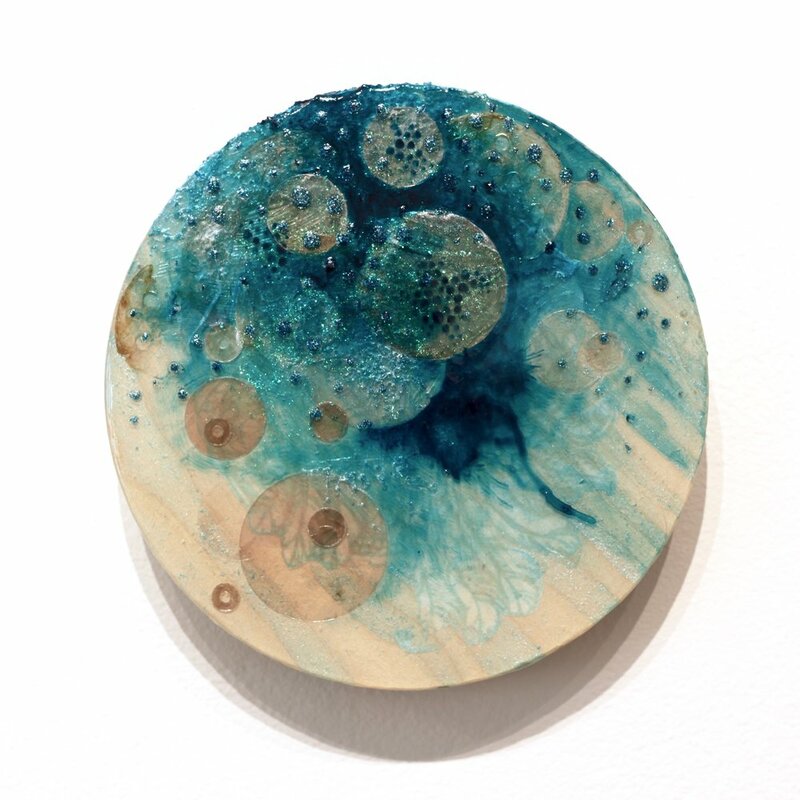 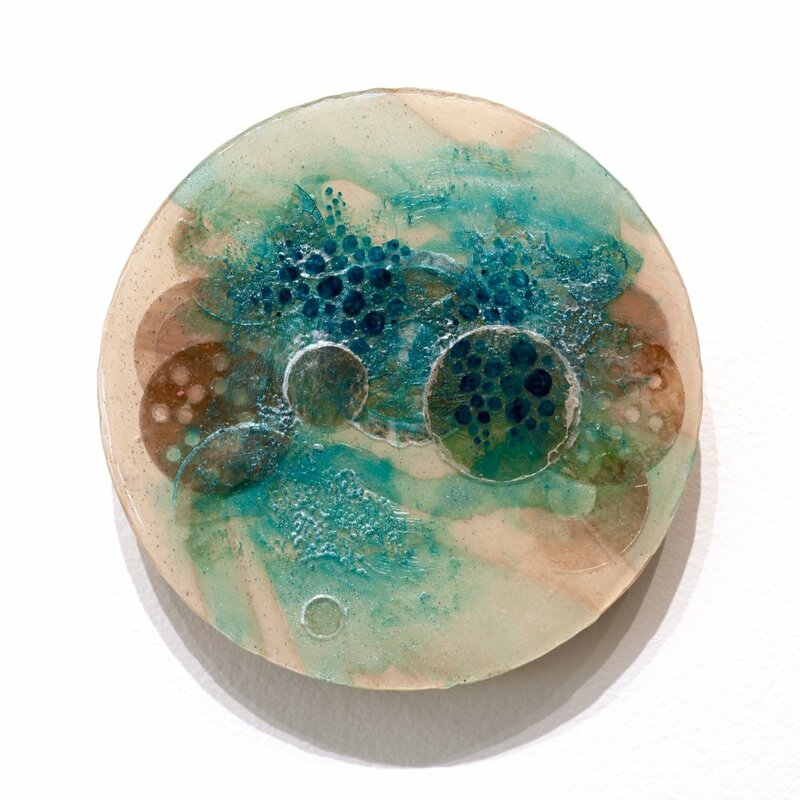 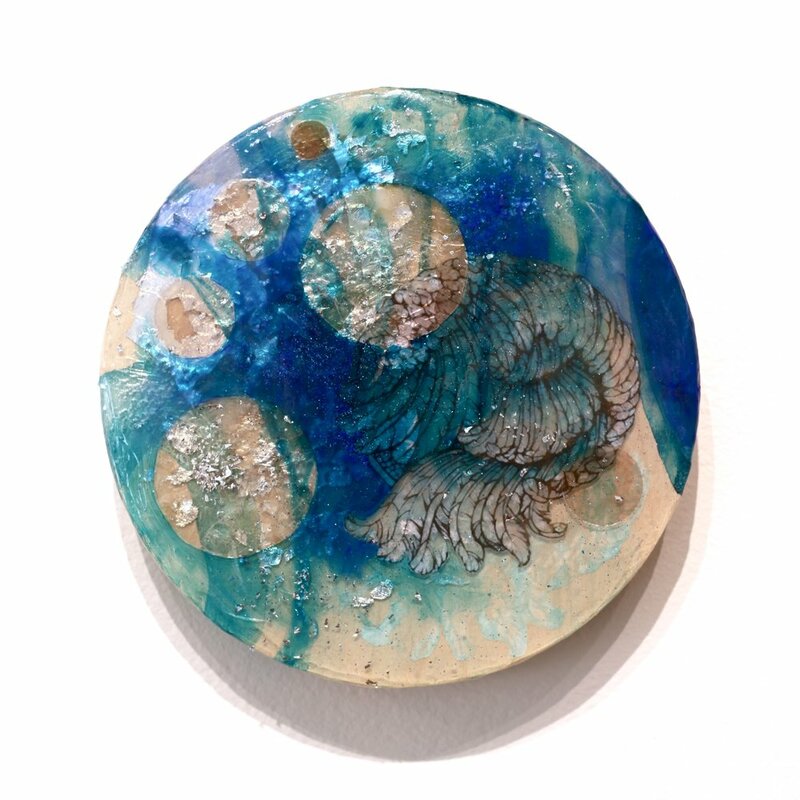 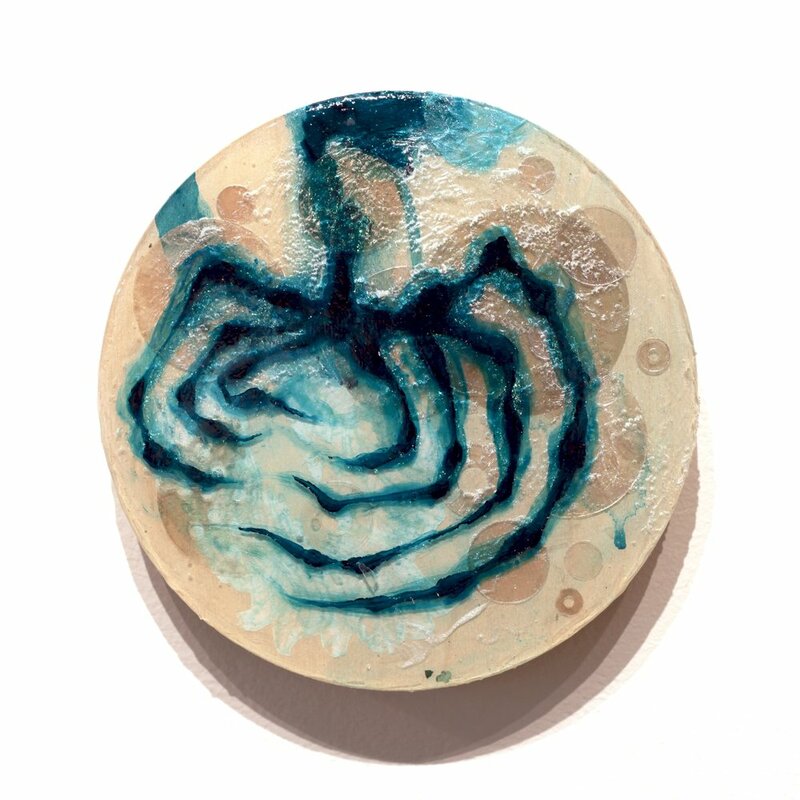 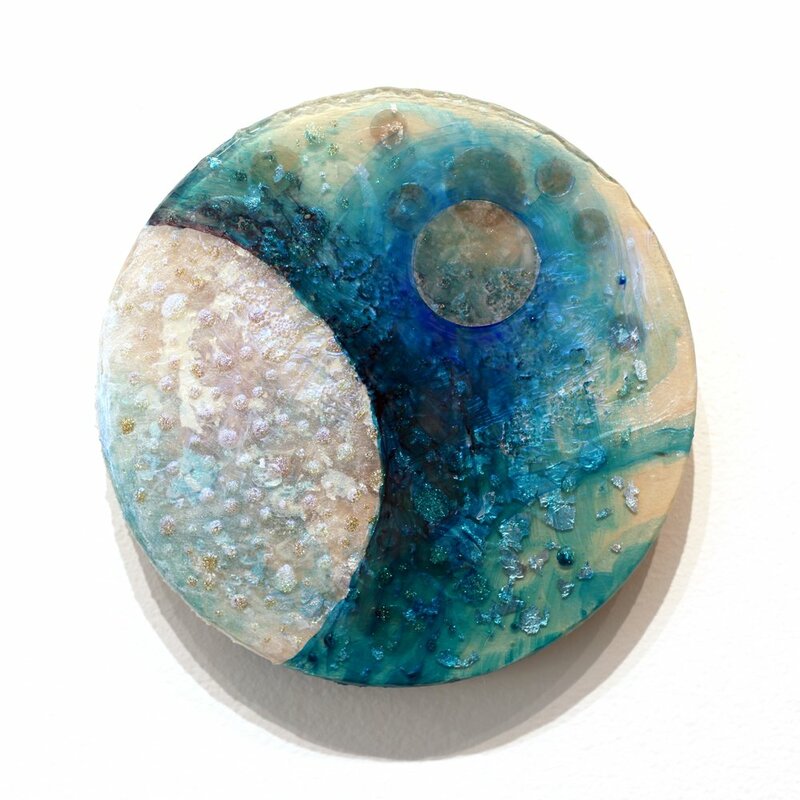 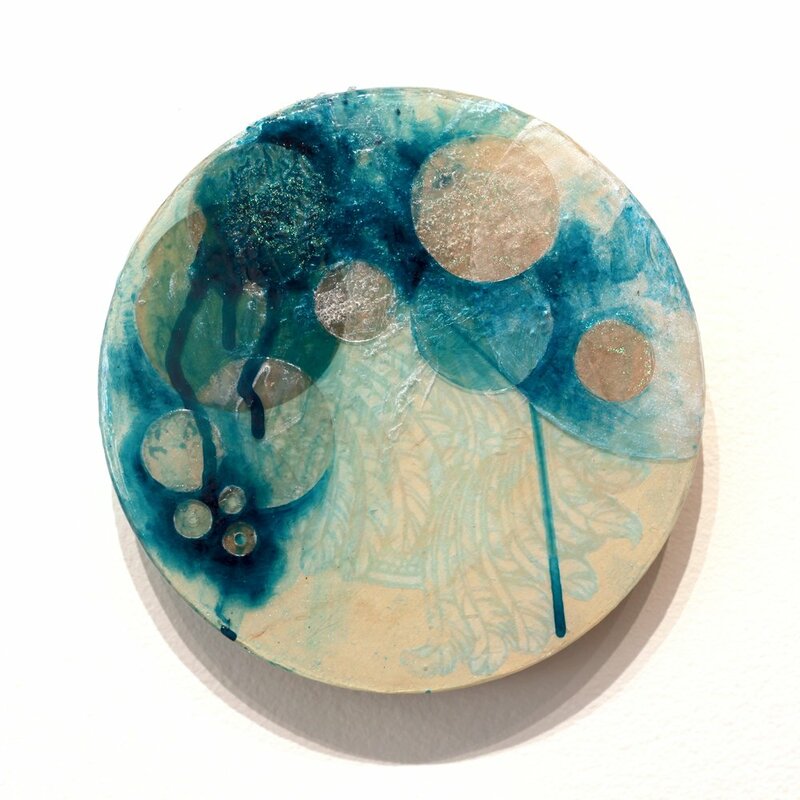 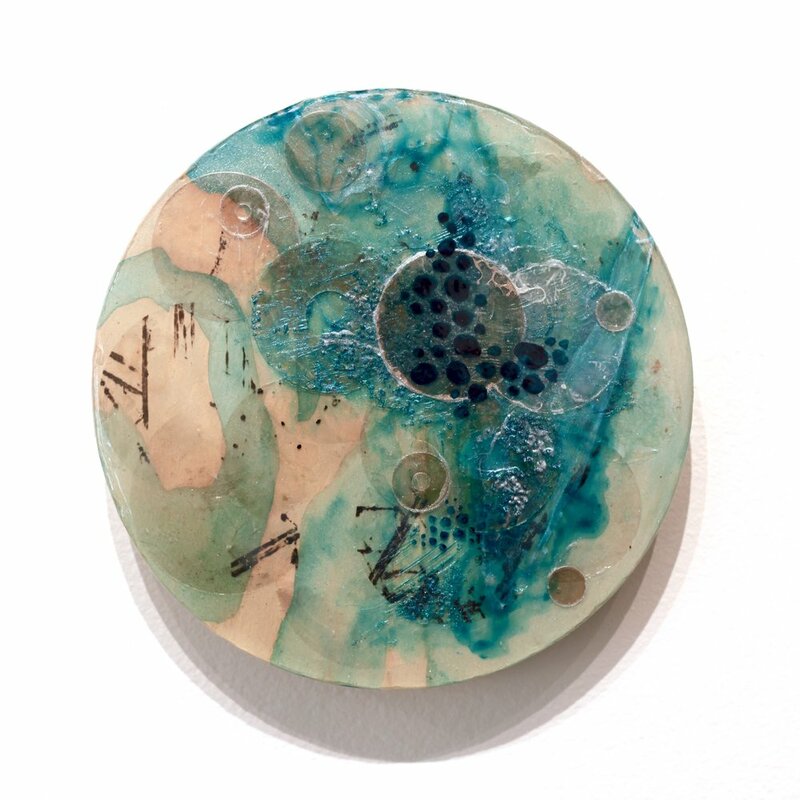 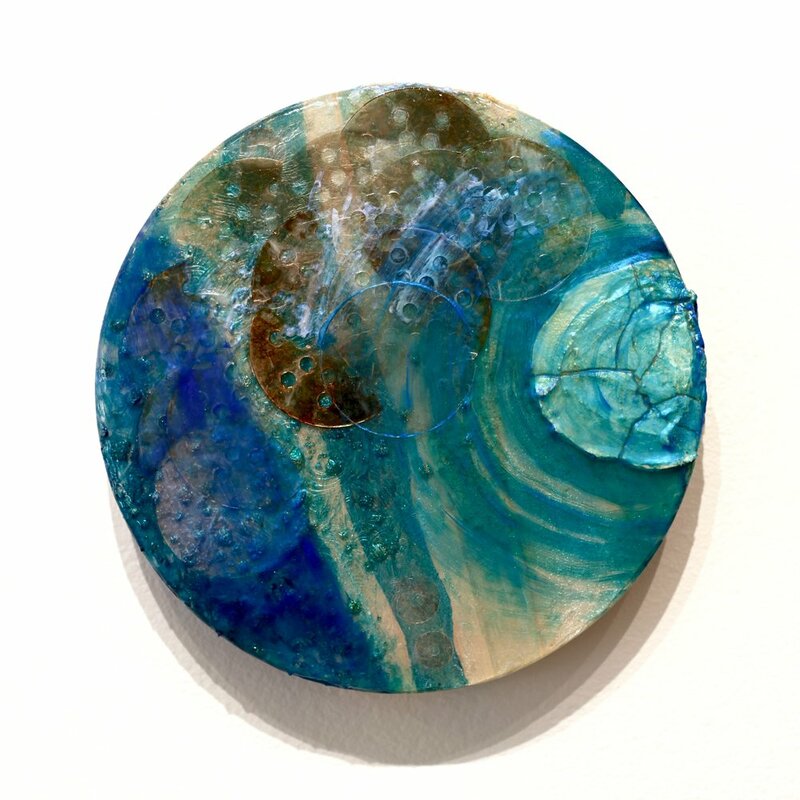 The fifty circular wood panels support a variety of materials including acrylic paint in metallic and interference hues, mica discs, sand textured medium, silver foil, glitter, gel medium transfers and crackle paste encased in layers of pouring medium. 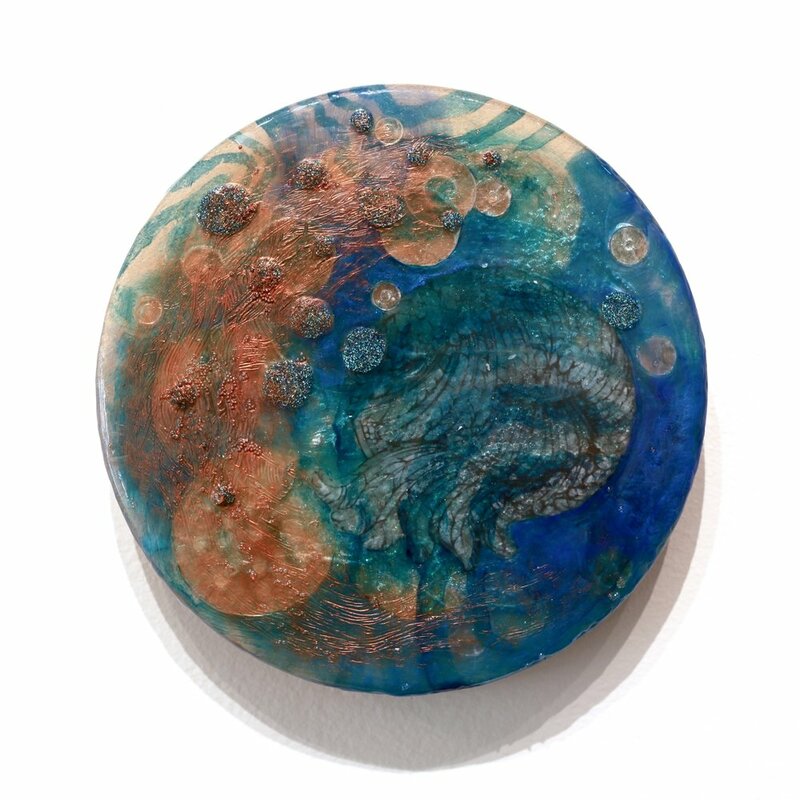 The pouring medium gives the appearance of resin, allowing light to pass through the layers of materials to create an illuminated appearance. 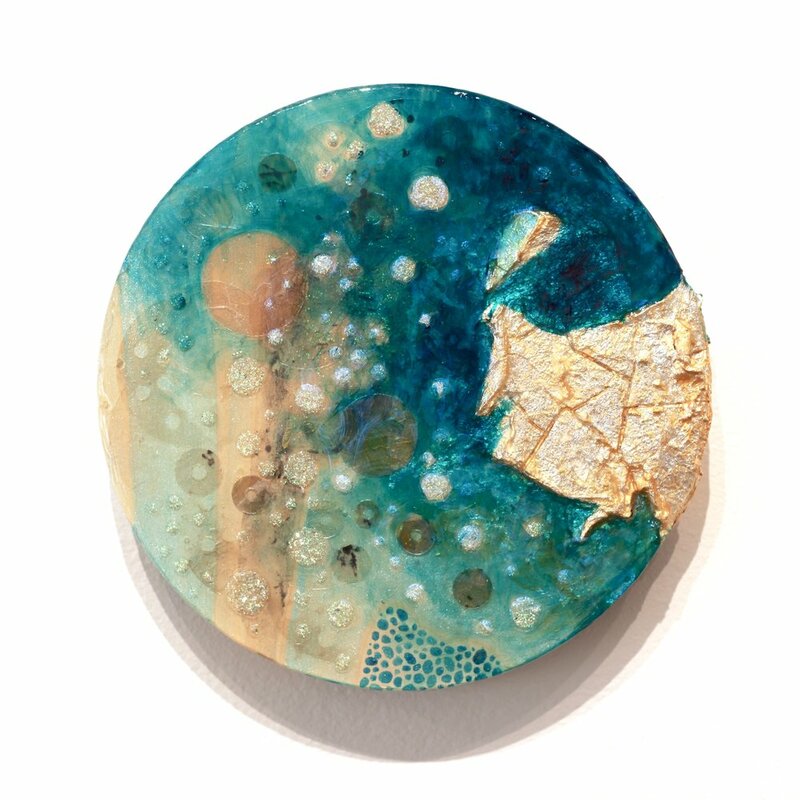 The imagery is inspired by the small island located off the coast of Cancun called Isla Mujeres. 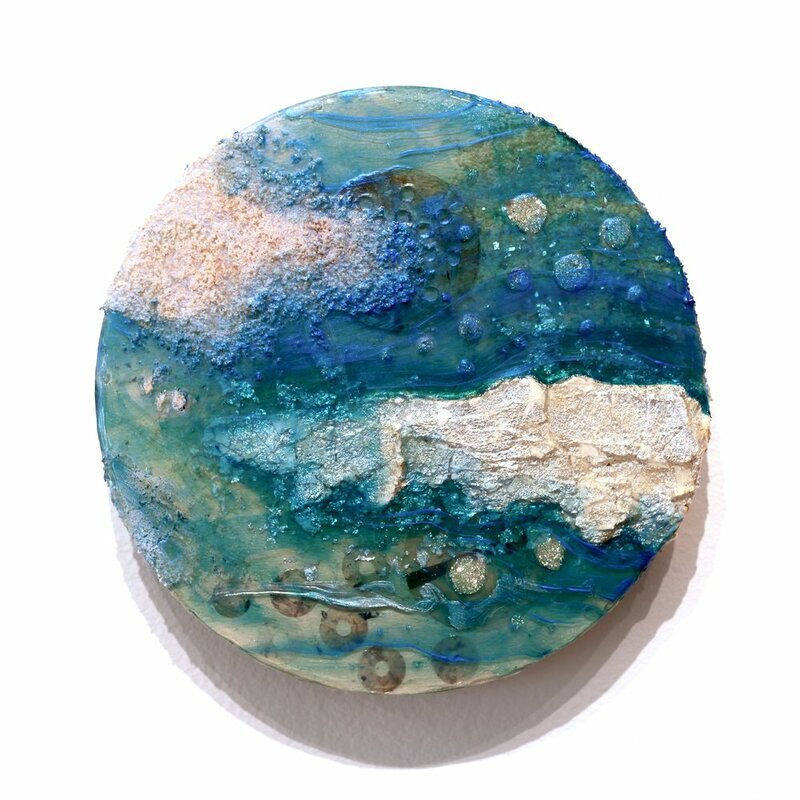 For this series, I wanted to capture the essence of the island, from the cycles of sun and moon, flowing water, silken beaches, intense color palette, and the energy of the people. 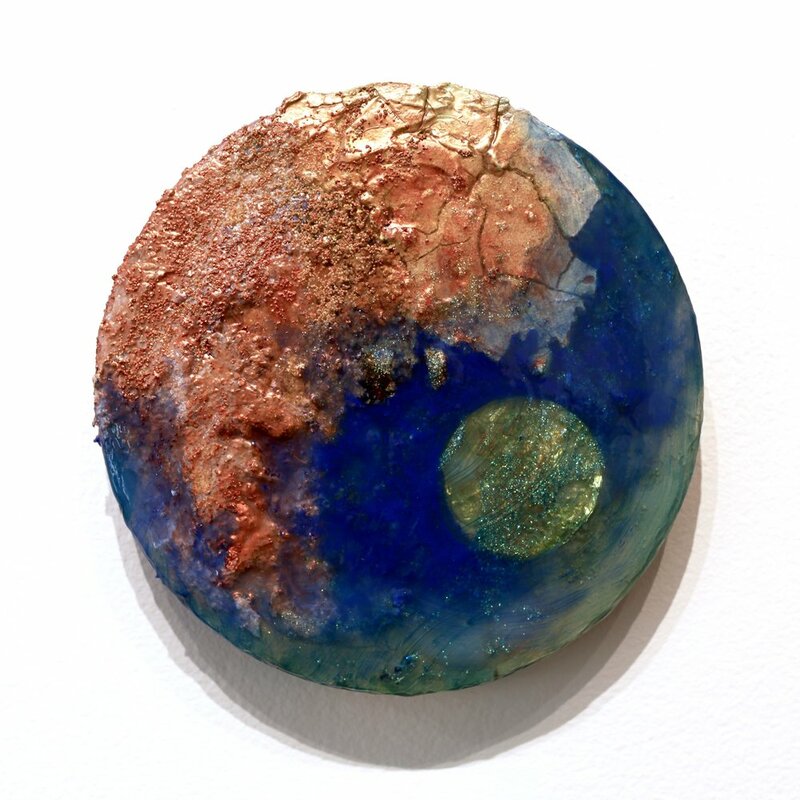 The materials are inspired by the ancient Mayan culture whom used metals and mica as a natural glitter adornment on many of their temples and ceremonial costumes. 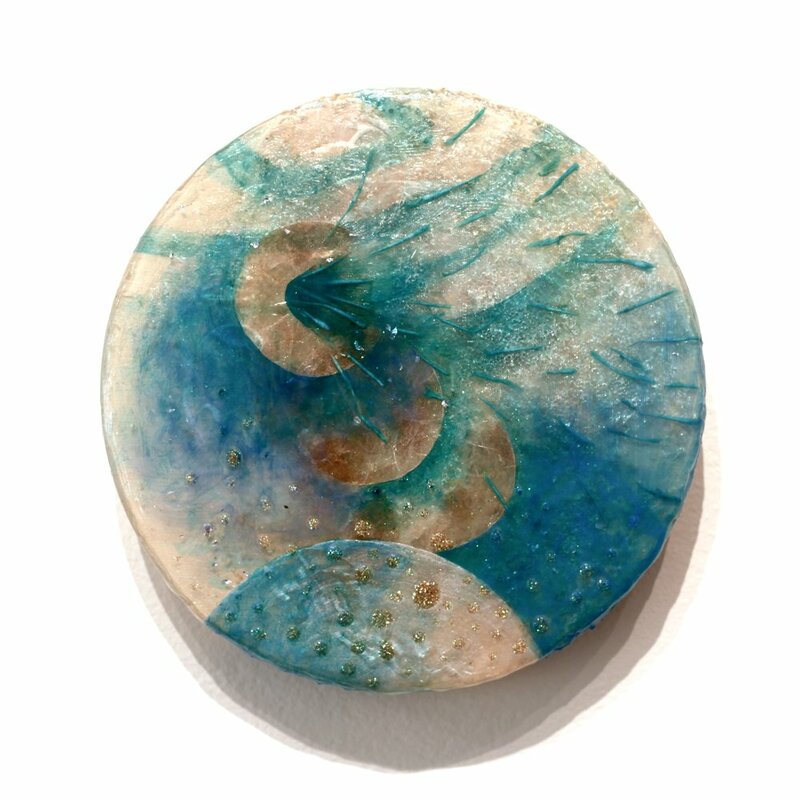 Created for the Dayton Visual Arts Center's CSA(rt) program. 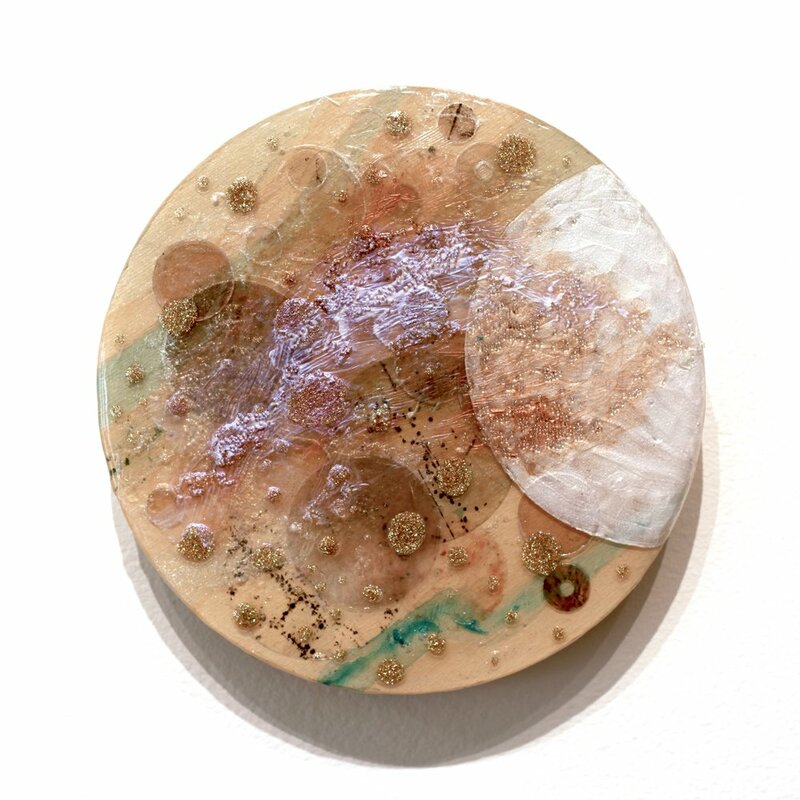 The Community Supported Art Program — CSA(rt) — is a spin on “Community Supported Agriculture” providing art lovers a share of fresh, handcrafted artwork. 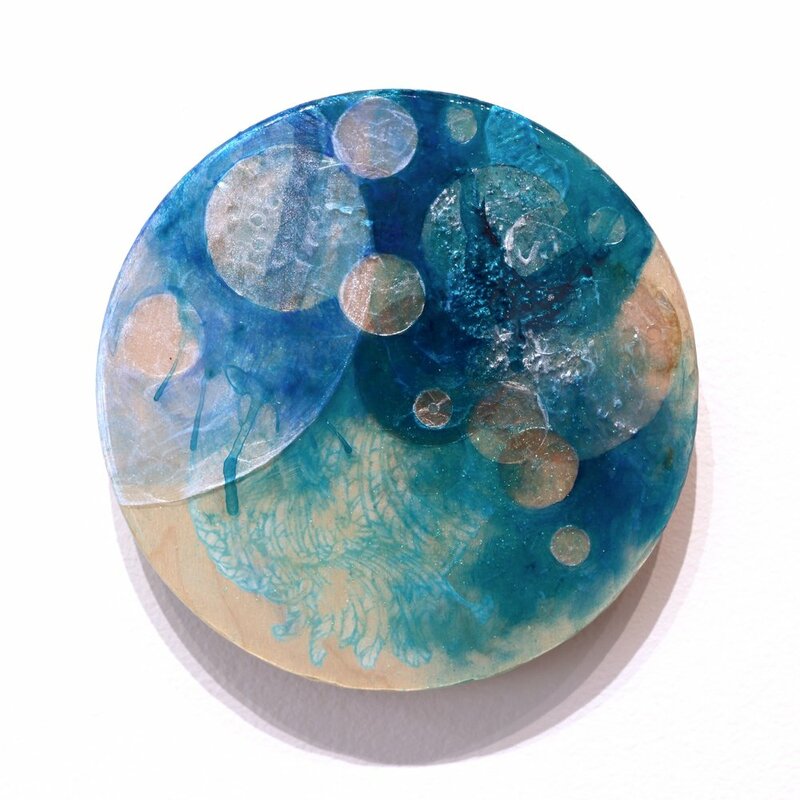 One art share will provide the shareholder with a crop of six unique, signed pieces of art created in editions of 50. 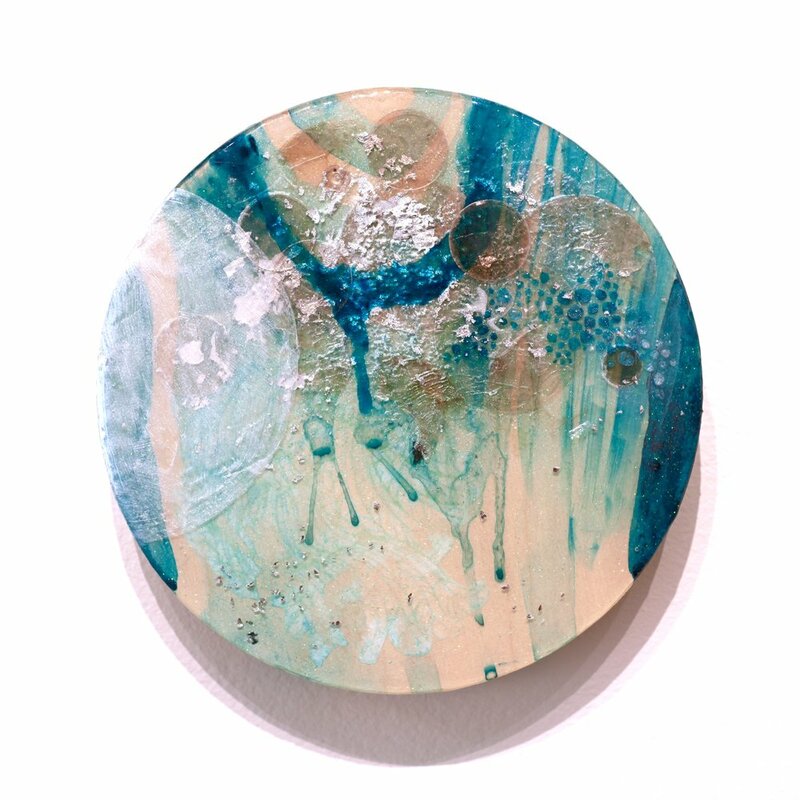 It’s a program designed to strengthen the art community by supporting the careers of emerging artists and cultivating collectors.